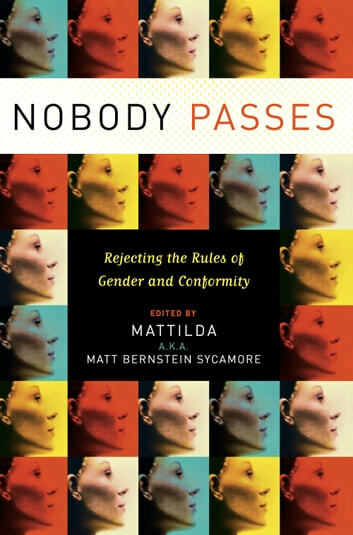 Nobody Passes is a collection of essays that confronts and challenges the very notion of belonging. By examining the perilous intersections of identity, categorization, and community, contributors challenge societal mores and countercultural norms. Nobody Passes explores and critiques the various systems of power seen (or not seen) in the act of "passing." In a pass/fail situation, standards for acceptance may vary, but somebody always gets trampled on. This anthology seeks to eliminate the pressure to pass and thereby unearth the delicious and devastating opportunities for transformation that might create.